The U.K. continues to crack down hard on its obesity problem, as organizations like Public Health England suggest limitations of 1600 calories a day for the average adult diet. The nation also is concerned about the health of its youngest citizens, since the BBC asserts that “almost 60 percent more children in their last year of primary school are classified as ‘severely obese’ than in their first year, according to Public Health England figures for England and Wales,” suggesting that students’ weight problems worsen as they get older. 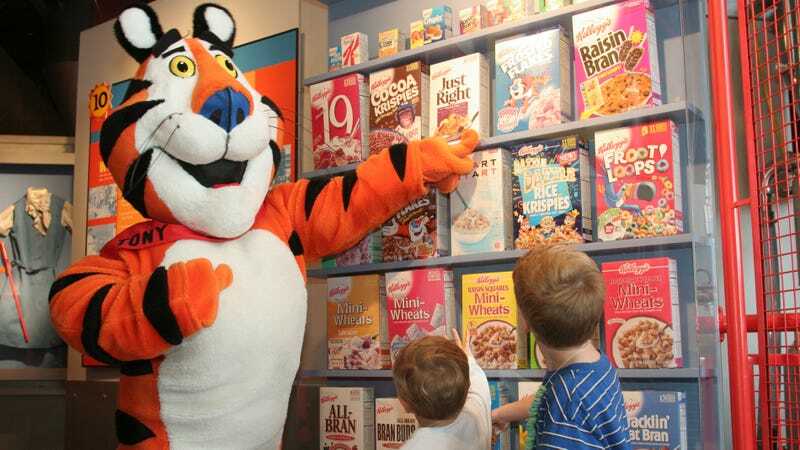 In an effort to combat the U.K.’s worsening health, the BBC reports that “cartoon or fictional characters, like Tony The Tiger and the Milky Bar Kid, should no longer be used to promote unhealthy food, a group of MPs says.” The suggested ban is part of a list of suggestions that also includes removing sweets from supermarket checkout areas, price promotions on junk food, and brand sponsorship of youth leagues and sports clubs by unhealthy products. Meanwhile, the U.K. government has “already introduced a sugar tax on fizzy drinks, but the MPs called on it to go further with ‘fiscal measures.’” The Department Of Health “said its plan to tackle childhood obesity was ‘the most ambitious in the world,’” and so far that certainly appears to be true.